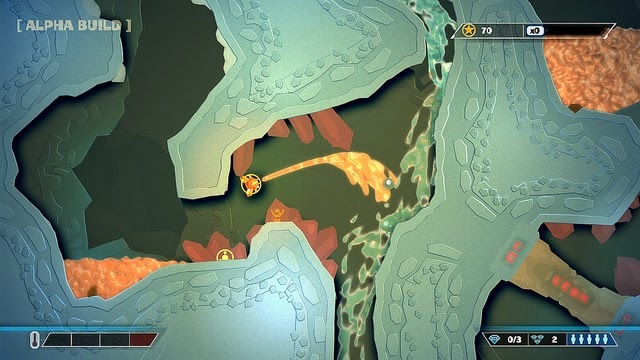 The Pixeljunk collection of shooter games is releasing this week on the PS Stores for the PS4 and PS Vita. And if you're a PS+ subscriber, you get it as a free download! It's been a while since I played the Shooter games on my PS3 AND on my PSP Go... really. That was one of the few titles I could play using the remote play functionality of the PS3. If you never played this title, you need to give it a go for many reasons. 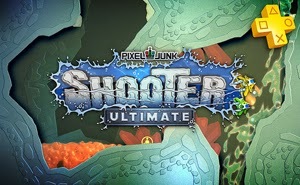 This is a shooter, puzzle, adventure game. You fly around inside a planet on a rescue mission for the scientists left behind and get to see some super fluid graphics. I remember being first impressed with the puzzles with the lava and water. The way it moved was just cool. You fly around with two sticks, one to fly, the other to shoot. I'm excited to see how this translates onto the Vita. I believe it will be a beaut of a game. 2 games, really. You get both Shooter games for one! After playing it a bit I will post a review on the site. Until then, let us know in the comments if you're going to pick this one up. Did you play it on the PS3?